This week Hollywood welcomes one of the Chinese film industry’s most important and influential players, Han Sanping (韓三平). 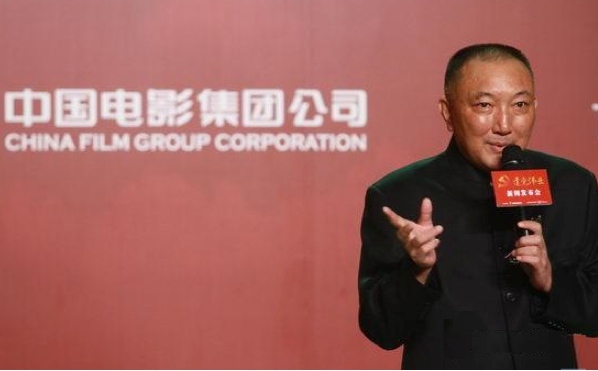 As Chairman of the Chinese government/business mega-conglomerate China Film Group, Han is responsible for more financing, production, distribution, export and import of films than everyone else in China combined. Han is visiting Los Angeles this week to meet with executives at several studios (Universal, Sony and Disney have been specifically mentioned in the industry trades) to seek out co-producing partners, and to consider requests for precious import quota slots. A couple of clients of mine are meeting Han this week to ask that he allow their blockbusters to screen in Chinese cineplexes. There is no real Hollywood equivalent to Han, because he wears so many hats: producer, director, studio executive, government administrator, and mentor. If you took Jack Valenti, Lew Wasserman, and Steven Spielberg and rolled them into one, you’d begin to get an idea of Han’s power and influence in China. He has overseen the production and distribution of hundreds of movies and television series, he manages the Beijing Film Studios, and he has final greenlight authority on all co-productions with foreign partners. Han is also widely recognized as a kingmaker who has nurtured the careers of such top directors as Chen Kaige, Zhang Yimou and Feng Xiaogang, and of many leading Chinese actors and actresses as well. The kingmaker’s own career was nurtured and mentored by my new friend Liu Cheng. Han began producing movies nearly 20 years ago, which makes him the equivalent of an OG in China because there are few film veterans who can claim that sort of longevity. He has had a producing role on numerous Chinese blockbusters including Red Cliff (directed by John Woo), The Warlords (Peter Chan), Shaolin (Benny Chan) and Aftershock (Feng Xiaogang), and on such Hollywood films as Mission Impossible III and The Karate Kid. He also directed two of China’s highest grossing films of the past three years, the star-studded, Chinese Communist Party sponsored propaganda films The Founding of a Republic and The Beginning of the Great Revival. Last year I helped Han to evaluate Hollywood visual effects companies for one of his films, and as a result I gained some access to his inner circle. I’ve heard that his trip this week has yielded at least one major surprise: there has been a marked negative shift in the major studios’ attitudes toward co-production with Chinese partners. Apparently, in the wake of the Chinese government’s recent announcement regarding its relaxation of film import quotas and its enhancement of revenue sharing, the studios’ appetites have diminished for co-production as a means of boosting their China business. With enough quota slots now for each major studio to average 5 or 6 Chinese releases per year, and with their share of revenue now bumped up to 25 percent of box office gross, the Hollywood giants see little incentive to deal with the hassles of Chinese co-production. An unanticipated consequence of Beijing’s opening up of the Chinese market is that it may encourage less Hollywood cooperation, not more. Most of the studios have had trying experiences in the past with Chinese partners, and any incremental revenue they might theoretically earn by making movies in China isn’t considered sufficient compensation for the risks, creative restrictions, and headaches they would have to bear. From my vantage point this is a good thing. China still wants access to Hollywood expertise and market clout, and the less the studios want to provide these things the more opportunity there will be for entrepreneurial American and other foreign companies. We may see more Chinese money begin to flow into high profile independent productions. Han Sanping won’t have to concern himself with these issues for much longer; he’s nearing the mandatory retirement age of 60, and it’s widely anticipated that he will soon be leaving his post. Some speculate that Zhang Qiang, a younger protégée of Han’s, will step into the China Film Group chairman’s seat later this year. This entry was posted in General News and tagged Aftershock, Beijing Film Studios, Chen Kaige, China Film Group, Feng Xiaogang, Han Sanping, Jack Valenti, John Woo, Lew Wasserman, Liu Cheng, Red Cliff, Rob Cain, Robert Cain, Shaolin, Steven Spielberg, The Beginning of the Great Revival, The Founding of a Republic, The Warlords, Zhang Qiang, Zhang Yimou by chinafilmbiz. Bookmark the permalink. As usual Rob, great info. Thank you, Becky. I always appreciate your feedback! Thank you for this insight, Rob!